It's not possible for everyone to have an electric car charger at home – so bringing charging infrastructure closer to where people live is going to be vital for the continued popularisation of electric cars. Good news, then – as a new £2.5million fund from the Office of Low Emissions Vehicles (OLEV) has opened to help local authorities provide just that. Where there's high demand around the country, the On-street Residential Chargepoint Scheme (ORCS) should be very useful in persuading those considering going electric to take the plunge. With 35,000 electric vehicles already on UK roads, fuel prices only heading in one direction (hint: it's not down), and lots of attractive vehicle models, now could be the time to bring battery-powered motoring towards the norm, not a novelty. There are many chargepoints already in place across the UK, but naturally, the ideal is to have them as close to where electric car owners live as possible. Those without access to off-street parking shouldn't be cut off from the chance to cut their motoring costs and carbon emissions. Three-quarters of the capital costs of installing these local chargepoints are offered to local authorities applying to the scheme, and multiple installations are possible so long as they're located in residential areas and each can charge at least two cars at once. It's certainly one for the savvy authorities, as the scheme is first-come, first-served – with £1million set aside for the first financial year, and £1.5million for 2017/18. Although it's councils bidding for the cash, this is an opportunity for community groups and housing associations, and of course, local residents themselves, to press a compelling case for charging infrastructure to their local representatives. Factsheets for Local Authorities, chargepoint installers and consumers summarise details of the scheme such as the application process, the eligibility criteria, and what the grant covers, plus there's a helpful document with frequently asked questions available, too. Considering going electric? 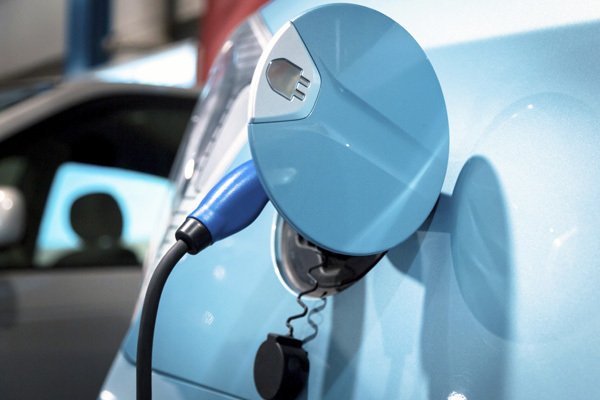 Our electric vehicle comparison tool lets you look across the board at type, cost, range and grant eligibility, to see which vehicle might be right for you. Share your thoughts with us by posting a comment below, or tweet us @EnergySvgTrust. Be sure to follow @OLEVgovuk and #OLEVORCS on Twitter for updates. Can you advise me whether there are any grants to Management Companies of flats to install charging facilities in communal car parks? We are not aware of any grants that building management companies can apply for specifically to fund costs for chargepoint installation in communal car parks. The grants available today are dependent on chargepoints being installed in publically accessible locations. However, residents living in flats can request to have a chargepoint installed, if they have an allocated parking bay. Residents would be required to submit an application to OLEV, with agreement implied between the resident and the building management company (and with the landlord, in the case of tenancy) that installation can take place. For more information on the Electric Vehicle Homecharge Scheme and how residents can apply, please refer to this downloadable PDF via gov.uk. Looking for advice regarding on-street parking in Glasgow (G11) but having read everything on Energy Saving Trust, I am struggling to find the best way forward. Do I write to the council asking them to apply for a grant? What is the incentive they have for paying out of pocket and installing a charger on my behalf? Or can I make the request direct to Energy Saving Trust so they can push the council to make it available? We recommend you contact our team at onstreetchargepoints@est.org.uk as they will be able to discuss the scheme, answer the questions you’ve raised and ensure any further queries are resolved. In the meantime, you’ll find further information and links to Government guidance within our dedicated page, On-street Residential Chargepoint Scheme.